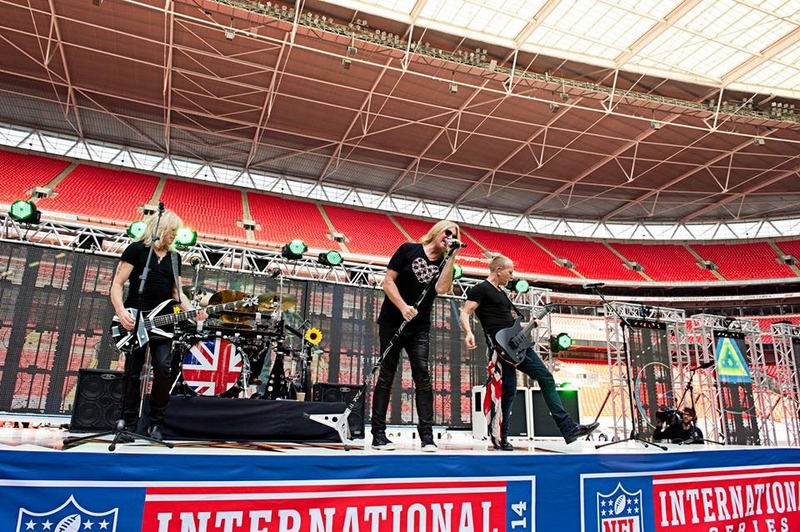 Def Leppard played the pre-game show at the first of this year's three NFL International Series games on Sunday as the Oakland Raiders hosted the Miami Dolphins at London’s Wembley Stadium. The event marked the debut of Trixter guitarist Steve Brown in the band’s lineup while Vivian Campbell undergoes a stem cell transplant this fall in his ongoing battle with cancer. 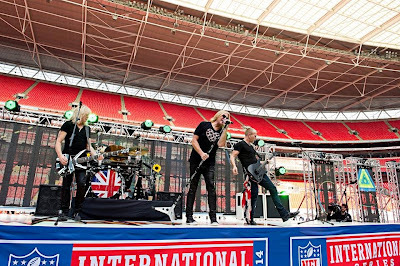 Def Leppard performed “Animal”, “Let’s Get Rocked” and “Pour Some Sugar On Me” at Wembley as NFL cheerleaders danced around the field. Up next, the UK rockers will play three casino shows in California at the end of October. Campbell was diagnosed last year with Hodgkin's Lymphoma, and immediately began chemotherapy and other treatments at the time.